The title of Melissa Lucashenko’s latest book—both an accusation and a lament—speaks of hunger, greed, desperation, destruction and redemption. Central to the novel are themes of rage, incarceration, and generational trauma. After an armed robbery gone awry, Kerry returns to her hometown to say farewell to her dying Pop. But the stakes change, and Kerry finds herself fighting to save her family’s land, burial grounds, history and connection to home. 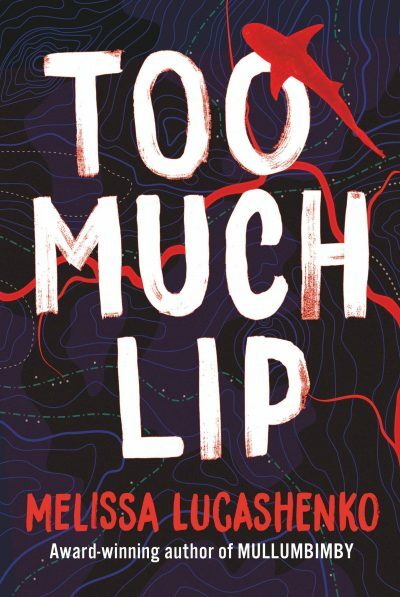 Lucashenko is writing what can be described as the postmodern Indigenous Australian novel, and Too Much Lip will appeal broadly to readers of Australian fiction, smart and politically minded rural and romance titles, and Indigenous fiction. It is both literary and pulp fiction, high culture and low. More than anything, as a white lady from North Queensland, this story is both for me and not. Lucashenko evokes a sense of deep recognition of this country’s language, landscape and place with her prose. Her writing is as varied as her characters for whom identity is never singular or simple. By turns elegantly descriptive and exquisitely affronting, Too Much Lip describes a family in perpetual crisis: fractured, addicted, abused and abusive, absent and broken. It is a challenge and a delight to read.